Marsden batsman Colin Mann in action against Whiteleas and Harton, played at Harton Welfare, South Shields. They are 63 points behind the leaders going into the big game. On the Villagers’ team news, he added: “Chris McBride returns after a concussion, but Brydon Carse is still injured, and Craig Smith is jetting off on his holidays. Chester-le-Street, in second place and 37 points behind South North, take on fifth-top Tynemouth at Ropery Lane. In Division One, lowly Boldon, boosted by a welcome win last week, are away at Washington and skipper Chris Ellison remarked: “Nathan Hewitt is back from holiday and replaces Barry McCarthy who is not available. “Philip Shakespeare will be having a late fitness test to see if he’s ready to return. Leaders Burnopfield, host struggling South Shields, who are second-bottom, having won only two of their 12 games to date. They hold a 27-point cushion over Blaydon. Boldon CA welcome Evenwood, who currently sit in second place of the Readers Durham Cricket League, to town. Secretary Luke Bannister said: “The two Teesdales are back in the squad this weekend, while Andy Rowell is away. In Division One, Crook, in second place, go to Marsden. Secretary Alan Stewart said: “Josh Holmes is still out injured, and he is expected to be out for a few weeks with a back injury. 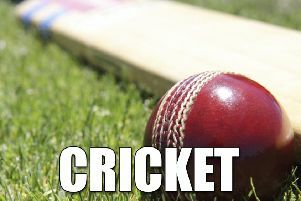 “Hopefully David Embleton, who played last Saturday with a knee injury and scored highly, should be OK to play, but he will be unlikely to be able to bowl at full pace.